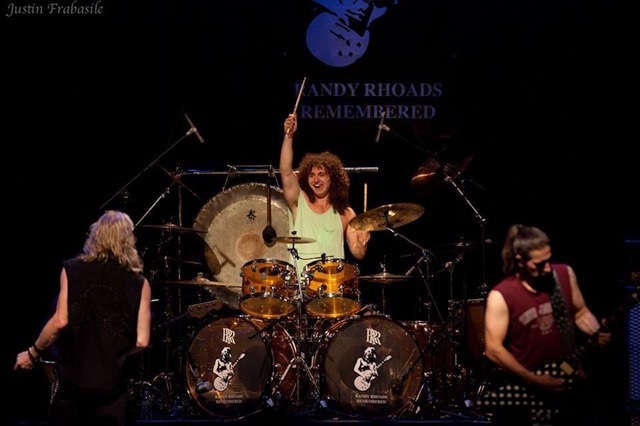 Andre Jevnik is an up and coming drummer that won the drum contest for a spot at the Randy Rhoads Remembered show at the Bergen PAC in New Jersey and performed “No Bone Movies” with two former members of Ozzy’s band. 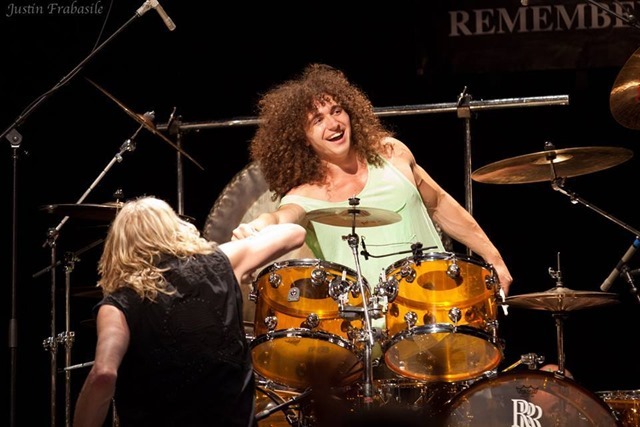 One of Andre’s favorite drummers is Tommy Aldridge. With Andre’s considerable drumming skills and love for Tommy’s playing, he was brilliant in his performance. 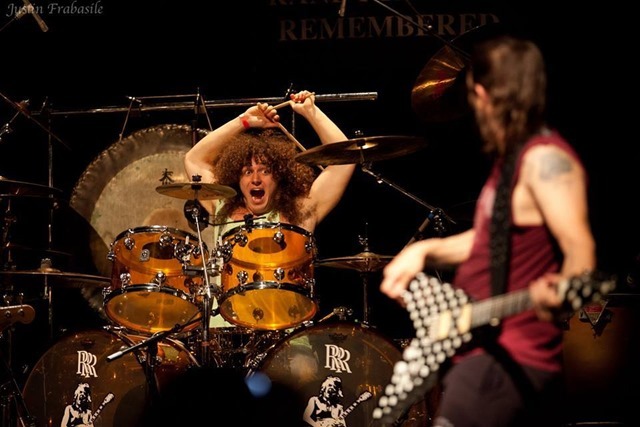 Even Chas West made a Tommy Aldridge reference to Andre’s drumming at the end. All I can say is WOW! This show was not only electrifying, but very emotional. Being a part of this show is an experience I’ll never forget. Playing with legendary bass player Rudy Sarzo was also mind-blowing. I was always inspired by the bands he played in and to be onstage with him was amazing. 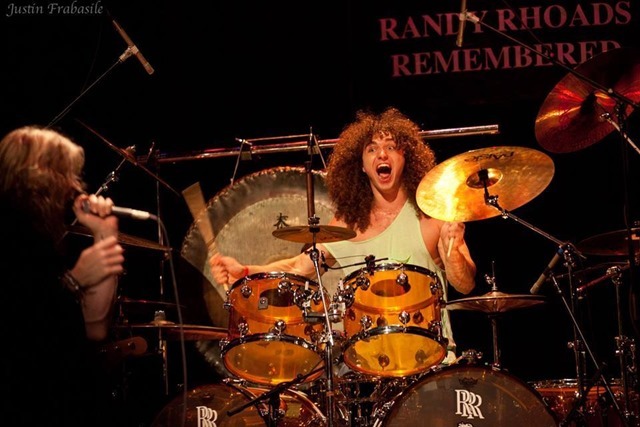 Listening to Randy’s sister and brother (Kathy and Kelle) tell stories about him made me realize that a show like this helps keep not only his guitar playing alive, but memories and moments people had with him. After all these years of him being gone, it’s as if he is still with us today. Brian Tichy did a great job putting this show on. All the people involved, whether it be playing or behind the scenes, did an outstanding job. I am very humbled that I was able to take part in this show and hopefully I would be able to do it again one day soon. Expect to see much more of Andre, as his drumming career is really starting to take off.